Game description: Embark on a new adventure for fortune, glory and power. 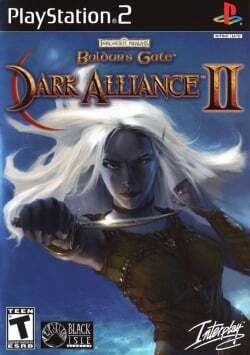 Baldur's Gate: Dark Alliance II, the sequel to Baldur's Gate: Dark Alliance starts you off on a road full of danger and magic. Face a seemingly endless army of sinister enemies in over 80 levels of finger-numbing action. Master skills, spells and deadly weapons while traveling through spectacular environments. Customize your character and forge your own weapons. It's up to you to rid the lands of evil by yourself or with a friend. Only GSdx SSE2 plugin has been used with the above system. Strong CPU is recommended when using software mode. USA v02.20(10/02/2006) Runs at good speed now! Half screen glitch in hardware mode, software mode perfect fine. USA v02.20(10/02/2006), Standard speedhackers, Is not more heavy in software mode. Half screen glitch in hardware mode, software mode its perfect fine. This game has built-in cheats. Description: The left half of the screen is doubled on the right side of the screen. Workaround: This issue has been fixed. If the issue persists go to Config -> Video (GS) -> Plugin Settings, make sure Renderer is not set to "Direct3D9 (Hardware)" and Internal Resolution is set to a "Native" scaling resolution instead of Custom resolution.